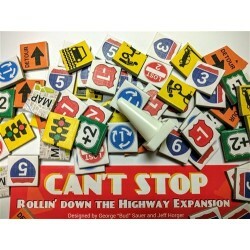 Can't Stop is the ultimate press-your-luck board game. 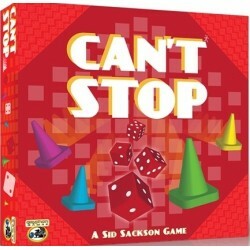 Once you've started this intense dice game, you just can't stop! Players try to win three of the eleven number columns as quickly as possible. 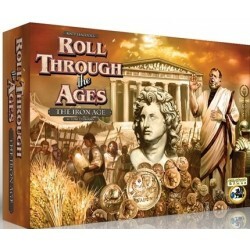 Eagle-Gryphon Games is proud to present Matt Leacock's Roll Through the Ages: The Iron Age by Tom Lehmann, the much-anticipated sequel to Matt Leacock's best-selling and highly-awarded Roll Through the Ages: The Bronze Age. 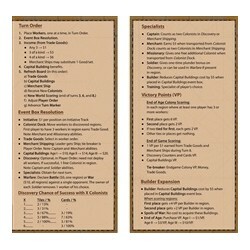 The aim of the game for each player is to earn the most money from capturing famous outlaws. 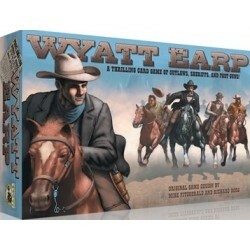 2 to 4 players take up the roles of Sheriffs who are hot on the outlaws tails, trying to capture the outlaws with most rewards on their heads. 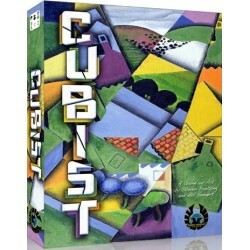 In Cubist, you and your opponents are architects competing to build a grand and inspiring new Modern Art Museum including its interior sculptures or installations. 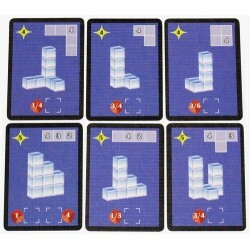 Aptly enough, your building materials are cubes, or more precisely, dice! 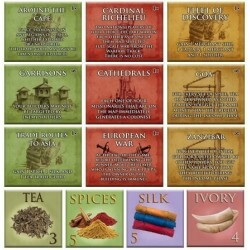 18 expansion cards to add to your game of Cubist to make your gallery even more impressive! 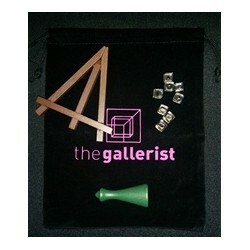 Includes the Cubist Museum Expansion Pack, Four Difficult Installation Cards, and The Attic: --a special construction that can be added to your Studio to help you store that extra stuff you just might need in the future! 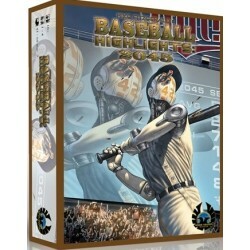 Playing Baseball Highlights: 2045 is like watching TV highlights of early 21st-century baseball games, with the game play being full of theme with no outs or innings and without bogging down in a play-by-play baseball simulation. 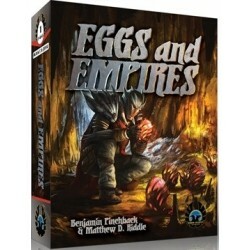 Eggs and Empires *E•G•G series #1* is a fast-playing card game from Matt Riddle and Ben Pinchback, the designers of the hit game Fleet! 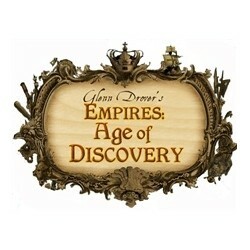 Outwit your opponents to collect as many Dragon Eggs as possible! 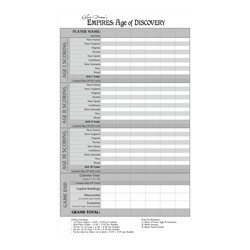 Players use matching decks of Empire Cards that contain Adventurers numbered 1-10. 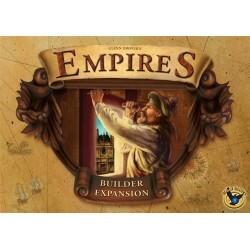 Empires: Age of Discovery Deluxe Edition is the new, upgraded version of the celebrated Age of Empires III and Empires: Builder's Expansion with updated rules, board, pieces and much, much more - all in one box. 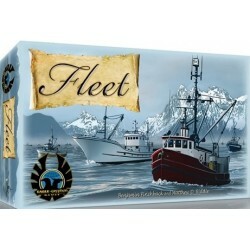 Fleet is an award-winning strategic card based game featuring a unique commercial fishing theme. 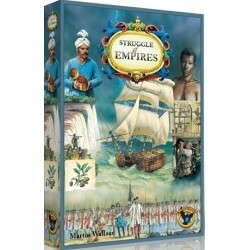 Fleet was the 2012 Dice Hate Me Game of the Year, and a runner up for GAMES Magazine's 2014 Best Card Game of the Year. 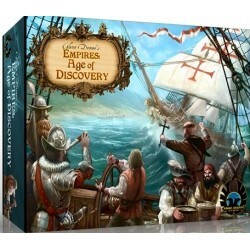 Fleet uses both existing and new mechanics to create an exciting playing experience. 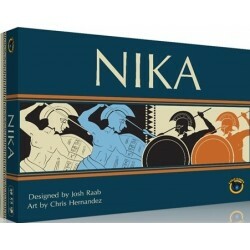 In Nika you command a Greek city’s hoplite soldiers who must force their way through enemy lines. 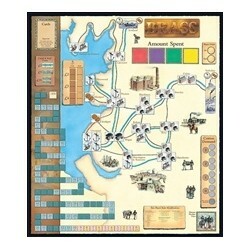 Your troops can push or rout those who would block their way across the narrow battlefield. Coordinate attacks with your ally to secure victory, but make sure to watch your flank! 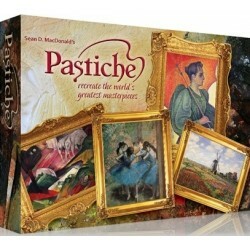 A World of Beautiful Colors comes alive as players choose commission cards picturing 34 of the finest European art works of the past six centuries. 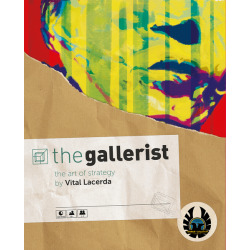 Players score their commissions by mixing primary colors through clever tile placement and recreating the palette of colors used by the masters. Sluff Off! 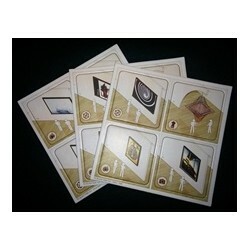 follows the standard trick-taking formula: The cards are numbered 1-15 in five different suits, and blue is always trump. 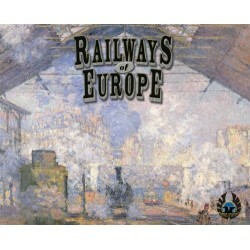 If someone leads a color, you must follow suit if you can; otherwise, you can throw off a card or trump the trick. 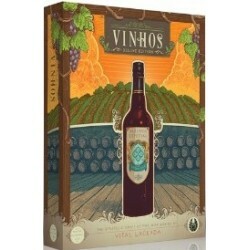 Like fine wine, many of the best things in life get better with age! 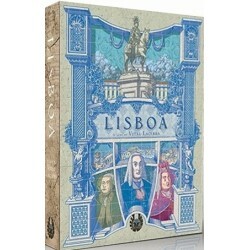 Combine the early efforts of the immensely talented games designer Vital Lacerda on the classic board game Vinhos; add the inspired new artwork of Ian O'Toole; and polish it all off with the Deluxe Edition production talents of the team at Eagle-Gryphon Games. Welcome to Lancashire, England in the 18th Century. 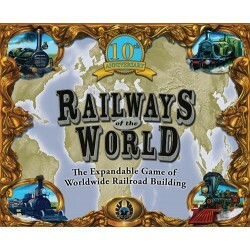 The world is about to change from Medieval to Modern. 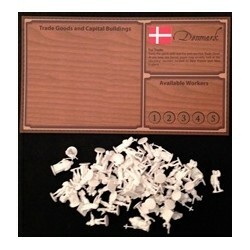 This change will be called the Industrial Revolution.